Rokinon Xeen 24mm T1.5, 50mm T1.5, 85mm T1.5 Lenses now Available for Pre-order ! Rokinon has officially announced 3 new cinema lenses: Xeen 24mm T1.5, Xeen 50mm T1.5, Xeen 85mm T1.5. All these lenses are available for Canon EF mount, Nikon F mount, Sony E-mount, M43 mount. The price for each lens is $2,495.00. Now available for pre-order at B&H Photo Video and Adorama. These lenses will be released on August 13, 2015. Sigma 12-24mm f/4 Art, 85mm f/1.4 Art, 500mm f/4 Sports Lenses to be Announce Soon ! 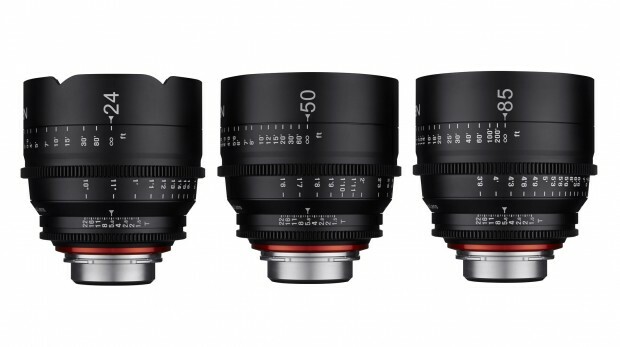 Zeiss Otus 85mm f/1.4 & Otus 24mm f/1.4 Lenses to be Announced Soon ? Previous Previous post: Canon EOS-1D X Mark II to Shoot 14 fps in RAW+JPEG Mode ?